Clint Eastwood did not know that behind closed doors of George H. W. Bush’s 1988 presidential run the campaign briefly considered asking the then Republican mayor of Carmel, Calif. to join the ticket. “No, I didn’t [know],” Eastwood told me. When I asked the actor if he would have accepted a VP nomination he laughed. “I would have said, “I want to be the first part of the ticket…why would I want to play a supporting role?” he asked. Bush’s campaign manager, now a former secretary of state, James Baker, disclosed that surprise consideration in audio interviews released last month by the University of Virginia’s Miller Center. “When we were way behind. Honestly, [Eastwood] was suggested in not an altogether unserious — well, he was a mayor,” Baker said. At the time Bush was 18 points behind Democrat Michael Dukakis, Baker said. Ultimately the campaign decided on a Senator from Indiana, Dan Quayle. 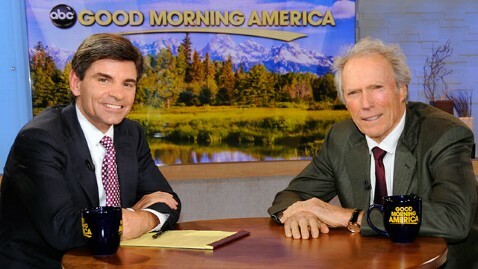 Eastwood, 81, came on “GMA” to talk about his latest project — the movie “J. Edgar.” But I took the opportunity to see if he has a preferred candidate among the 2012 Republicans running for president. He said he doesn’t have an early favorite. “I got to wait and see… There’s a lot of people out there that are a lot of good people who want to be– want the job,” he told me.